It seems there are still rare instances of exploding batteries causing harm. 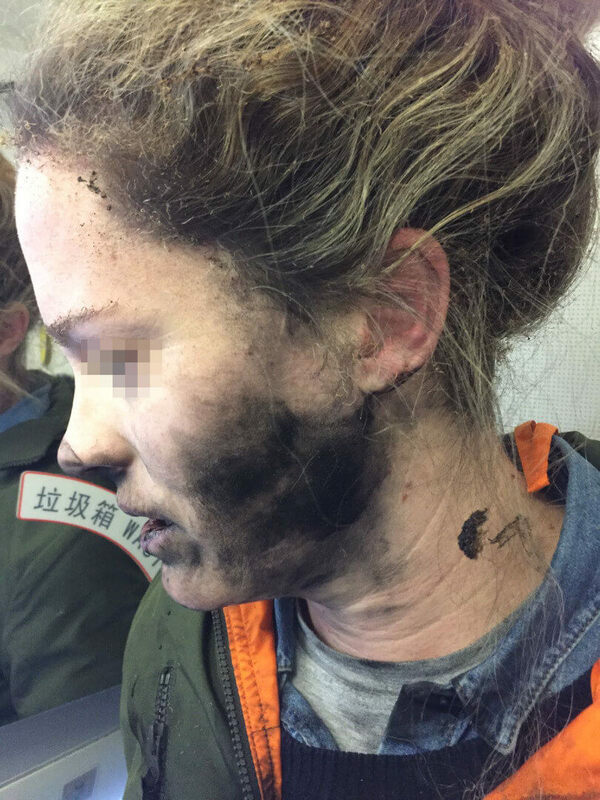 Following the Galaxy Note 7 debacle last year and numerous examples of hoverboards catching fire, we’re now hearing of a woman whose battery-powered headphones exploded on her face while she slept during a flight. The unnamed Australian resident was traveling from Beijing to Melbourne on February 19. She was listening to music on her headphones when she fell asleep around two hours into the flight but was later woken by an explosion. “As I went to turn around I felt burning on my face. I just grabbed my face which caused the headphones to go around my neck,” she said in an Australian Transport Safety Bureau (ATSB) statement, which was issued today. Smoke from the device and the smell of burnt plastic, hair, and electronics are reported to have filled the cabin for the rest of the journey back to Australia. “People were coughing and choking the entire way home,” said the woman, who burned her face and hand during the incident. Some details, including the make of headphones, are unknown. The ATSB merely said the battery “likely caught fire.” The agency added: "As the range of products using batteries grows, the potential for in-flight issues increases." The ATSB has reminded passengers to carry batteries with them and not in their stowed luggage.